Titanium dental implants with porcelain crowns are a definitive solution for restoring your smile. They are made of the noblest materials available, and they are the most durable and have the most natural effect. They are used for replacing lost or damaged teeth. Titanium and porcelain are the noblest and most durable materials used today in cosmetic dentistry. The texture of porcelain crowns is the one that resembles most the tooth's enamel and its wide variety of shades allows for a perfect assimilation of the implant by the adjacent teeth. Today, the oldest implants of this kind are 20 years old, so we may claim that, if used correctly, they have a proven durability of 20 years. The proven durability of the implants will be longer as time goes by and the implants remain whole on their places. They are used for correcting malocclusion when the problem is not due to bone abnormalities. You will not feel that you have something artificial in your mouth. The implants will become a part of your mouth; they will have the same hardness and function of your own healthy teeth. You will be able to smile again self-confidently: you will no longer be afraid lest your false teeth move or come off when you smile or speak. You will be able to bite and chew firmly again, not only will you enjoy more your meals but you will also digest the food much better. How is a Dental Implant surgery performed? During this first stage is when the titanium implants are attached to the bone. If the number of implants necessary is less than 14, your will have to stay in Buenos Aires for one week. If the number is higher, you will have to stay two weeks.The procedure is usually performed under local anesthesia, but when the number of implants is more than 5, intravenous sedation is used. The first step is to prepare the places in which the implants will be attached. In some cases, it is necessary to remove a tooth or the remaining pieces of a tooth that cannot be fixed in order to attach the implant on the hole that the root of the tooth leaves behind when it is removed. The hole is filled with a bone filler to fix the implant. If the tooth has been removed recently, the same bone filler is used for filling the hole where the implant will be attached. But if the tooth has been removed more than a year before, the hole would have probably filled by itself and, in that case, it will be necessary to make a hole to attach the implant. We should also add that it is not a good idea to let too much time go by before replacing a lost tooth, since the bone's volume tends to diminish as time goes by. The last step of the first stage is to make a temporary denture; you will have to wear it until the definitive porcelain crowns are ready to be placed, in a second trip. The odontologist will make a custom-made temporal denture according to your preferences and needs. There are three options: a) a removable dental prosthesis of a flexible material, b) one or more bridges with metal hooks or c) acrylic crowns. During this stage, the porcelain crowns are made and attached to the implants. You will need to stay 3 weeks in order to complete the treatment.The natural teeth are whitened and the resulting shade will be taken as reference to create the shade of the porcelain crowns. 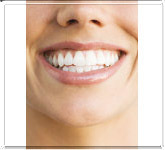 Therefore, if the teeth lose their whiteness, both the natural teeth and the implants will be of the same shade. If there are natural teeth that are broken or slanted but firmly in place, they may be used as anchors for attaching porcelain crowns that will be just like the ones attached to the titanium implants. Each damaged tooth undergoes root canal treatment and once the hole has been made, a fiberglass post is anchored. The posts are made in a laboratory according to each patient's need. This process takes 3 days. Then the data is collected and sent to the laboratory to make the crowns. This process takes 8 days. Once the crowns are ready, they are tried on the patient's mouth to check that they fit and, if everything is right, they are cemented into place. The crowns will be placed in such a way that all the teeth will look harmonious and even, but natural. A 'too perfect' row of teeth may look like 'piano keys', and no one would like that. However, a natural looking mouth is considered a beautiful and healthy feature of the face; the teeth do not need to be the center of attention.